Gunshots rang out in the small town of Abalak in northern Niger shortly after nightfall on Oct. 14, leaving two people dead and a 55-year-old McKinleyville man in the hands of unknown kidnappers. Jeffrey Woodke, a graduate of Humboldt State University with deep ties to the Arcata First Baptist Church, has spent much of the last three decades doing aid work in Niger. On Oct. 14, according to multiple news accounts, a gunman approached his home in Abalak on motorcycle and shot and killed Woodke's bodyguard and a member of the national guard before a Toyota pickup truck pulled up. Then, numerous armed men reportedly ordered Woodke to strip down to his underwear, loaded him into the truck and sped off. No one has yet claimed responsibility for the kidnapping, but Niger Interior Minister Mohamed Bazoum told Agence France-Presse (AFP) that Woodke's abductors were "jihadists or bandits" seeking to sell him to Islamic extremists operating in neighboring Mali. Al Qaeda-linked jihadist groups have also been suspected in other kidnappings in the region. Witnesses said the Toyota left Woodke's residence heading toward the Malian border, about 150 miles away. "The president of the republic is personally following the situation and our forces are fully mobilized to capture them and put an end to this disastrous affair," Niger's interior ministry said in a statement. Back in Humboldt County, news of Woodke's abduction hit hard. After graduating from HSU in 1984 with a Wildlife degree, Woodke found his passion and started a ministry in Niger, according to Redwood Coast School of Missions, which is run through Arcata First Baptist Church. A short bio on the school's website indicates missionary work in Niger has become a huge part of his life's work. "Jeff's passion in providing humanitarian aid to those who are amongst the poorest in the world, coupled with his desire to see God's kingdom advanced in a largely Muslim world has played a large part in the life and ministry of (Arcata First Baptist Church)," the site says. Woodke worked with the Tuareg and Woodabe people, and ran a literacy program, among other things, according to a report in CBN News, an online Christian news outlet. It seems part of Woodke's ministry involved taking groups from Humboldt County to the West African country on humanitarian trips. On her Facebook page, Christian author Cheryl Ford indicated she was a 15-year member of Arcata First Baptist Church with Woodke and that her family went to Niger under his leadership a couple of times. "One had to marvel at the man," Ford wrote. Woodke returned to HSU and received a master's degree in science and environmental systems with a focus on international development in 2003. But it appears he continued to spend the bulk of his time in Niger. At the time of his abduction, Woodke was working through Youth with a Mission, which bills itself as a "global movement of Christians ... dedicated to serving Jesus throughout the world." The group reports that it works in more than 1,100 locations spread across 180 countries, with a staff of more than 1,800. The group's spokesman, Pete Thompson, issued a statement indicating that Woodke had been working with a locally based aid organization, JEMED. According to the statement, JEMED has been working in the region for more than 25 years with the pastoral Tuareg and Fulani people through an integrated program aimed at helping them adapt to a more "sedentary lifestyle and overcome drought, disease, desertification and lack of access to education." 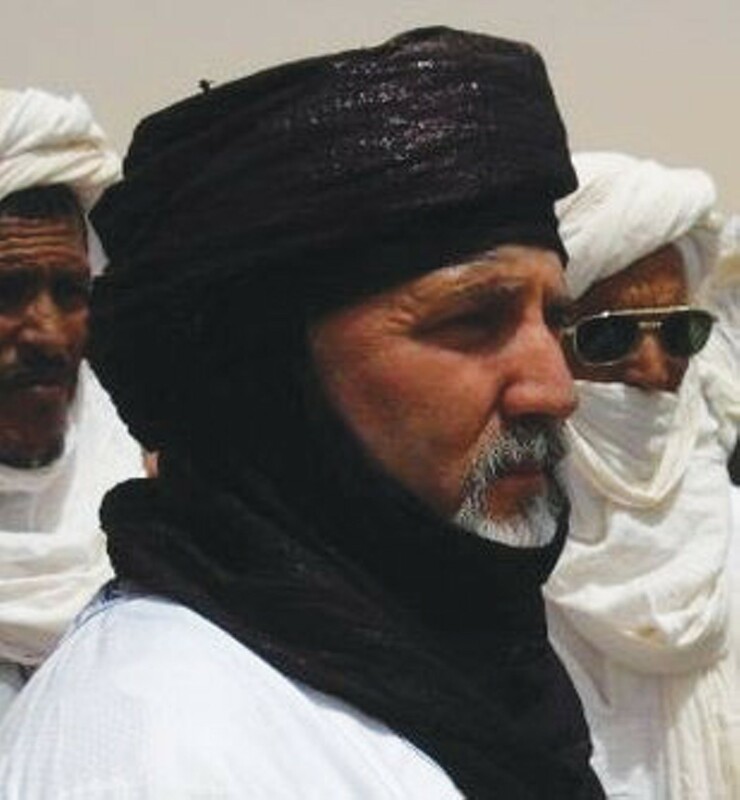 An Abalak resident told AFP that Woodke was "perfectly integrated" with the local population, speaking the Tuareg's Tamasheq language fluently as well as Fula and Arabic. The resident said locals had urged Woodke to leave the volatile area, which sits along the porous Malian border and AFP reports is "awash with armed groups." "We tried many times to make him leave the area as he was more exposed than ever, but he refused, saying he wasn't afraid," AFP quoted the resident as saying. North Coast Congressman Jared Huffman issued a statement to the Journal the day after Woodke's abduction indicating that he is working with the U.S. State Department. "My thoughts are with Jeff Woodke and his loved ones during this extremely trying time," Huffman said. "It is devastating to see my constituent, who has spent his life dedicated to humanitarian service, be victimized in this way. I am working with State Department officials and will do everything in my power to ensure Jeff's swift and safe return home." In her Facebook post, Ford quoted Tracy Rickstrew, who worked at Arcata First Baptist Church and whom Ford identifies as a "former Niger team missionary," as follows: "Please pray for him and his family. I know his heart would not be for his own life, but for God's glory in all of this. He is tough and his faith is resolute and we know that there is nowhere on earth that he can go where the Spirit of God is not already with him."